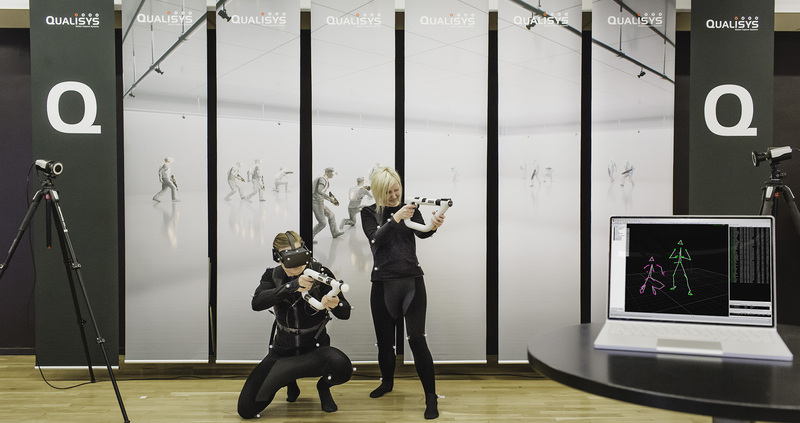 Qualisys is the world’s preferred mocap supplier since 1989, and delivers one of the world’s most accurate and easy to use VR tracking systems. The system has extremely low latency with the smoothest tracking on the market, as well as the easiest and most intuitive software. 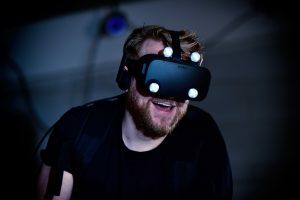 Through our tried and tested motion capture system along with Unity or Unreal software, we can offer a plug-and-play VR solution without complicated customizations. Suitable for any HMD brand (Head Mounted Display) and cave environments. Unlimited possibilities in object tracking! Track any object, with passive or active markers. We offer the market’s only system that can track both passive and active with the same system. Whether it comes to HMDs, weapons, controllers or scene elements, we can accommodate your needs. Go for the best mocap solution on the market for your VR needs. You want a system that can manage tracking a dozen players precisely and reliably, without drift and unnoticeable latency? 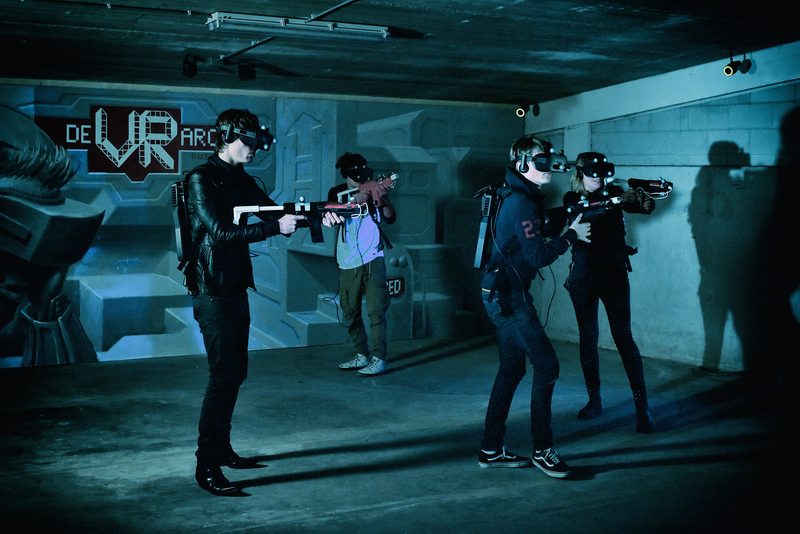 Whether it is a few HMDs in a small room, or a dozen gamers battling it out in a large VR arcade – We are the right choice. Our cameras give you almost endless possibilities for large VR environments and cave environments thanks to our 12MP resolution cameras and our wide angle lenses. Simply put – we can solve tracking wherever you want it. Qualisys’ Track Manager has integrations with the following software applications among others: Unity, Unreal, EON Reality and WorldWiz and of course you can integrate your Qualisys system with any other devices like eye trackers or gun props. We guarantee your satisfaction as a customer and we offer the markets premiere support solution. With offices in Chicago, Shanghai, Gothenburg – we are always there to help you. Choosing Qualisys means that you can have direct dialogue with the engineers and developers of our system and Qualisys installation and support teams will back you up all the way. Both teams are acknowledged by our users and you are not being dependent to the user forums or other dubious channels.